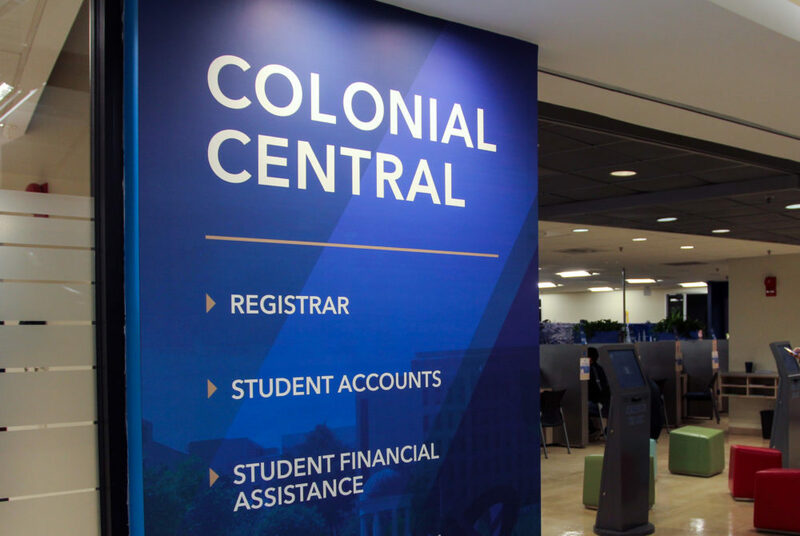 Officials announced in an InfoMail Thursday that students must sign a financial responsibility agreement this spring before they can access their online billing account. The University will require students to sign a form this spring saying they understand that they must pay their tuition and fees, according to an InfoMail sent to students Thursday. Starting next year, students will not be able to access their online billing account until they sign a financial responsibility agreement. In signing the agreement, students also give GW permission to send them electronic and phone communications about their finances, including tax forms, according to the email. “However you plan to pay your GW account (financial aid, scholarship, third-party sponsor, military payment, payment plan, etc. ), this agreement assures the University that you will take all necessary steps to ensure that method is successful,” the email states. Students who do not sign the agreement will not have the ability to enroll in a payment plan, allow other users to pay their bill, access account activity or set up a refund profile for refunds through direct deposit. They will also have to pay tuition and fees with “certified funds,” which include cash and money orders, and will be ineligible for late fee or hold appeals, according to the email. Northeastern University and the University of Rochester, two of GW’s peer schools, also require their students to sign a financial responsibility agreement.